The MMSW dumpster is for general household garbage or trash. This consists of: packaging materials, Styrofoam, toys, clothing, furniture, paper, dishes, bottles, food scraps, and mattress/box spring. The Construction dumpster is for construction and demolition debris/materials. These consist of: wood, windows, doors, tile, carpeting, padding, ceramic goods, glass, insulation, small amounts of concrete, wire, drywall and plaster. The recycling dumpster is for clean concrete or dirt. Limited to 10 Yard in size (due to weight) and must be kept free of all debris except concrete/dirt. The yard waste dumpster is for sod, grass, leaves, brush and branches – NO STUMPS! MN State Law prohibits the mixing of yard waste and other solid waste materials such as MMSW or C&D waste. Recent County actions also require that Hennepin and Ramsey County brush and branches be disposed of in Hennepin & Ramsey County disposal sites “only” to help prevent the spread of the Emerald Ash beetle. No hazadous waste, paints, batteries, household hazardous waste, asbestos, toxic waste, free liquids, rail road ties, or carcasses of any kind are allowed in any dumpsters. Please contact your county for more information on the disposal of these items. The following items will result in an extra charge of placed in the dumpster: Tires, CRT's (Cathode Ray Tubes found in older televisions and computer monitors – these are mandated to be recycled by the State of MN), Appliances, Propane Tanks, and Commercial Electronics or Appliances. Please do not overload the container as additional charges may be assessed. Please do not exceed 10 tons in weight or the container may have to be offloaded until it is safe to haul. Do not move or damage the container. Do not compact the loads. Please do not block the container. 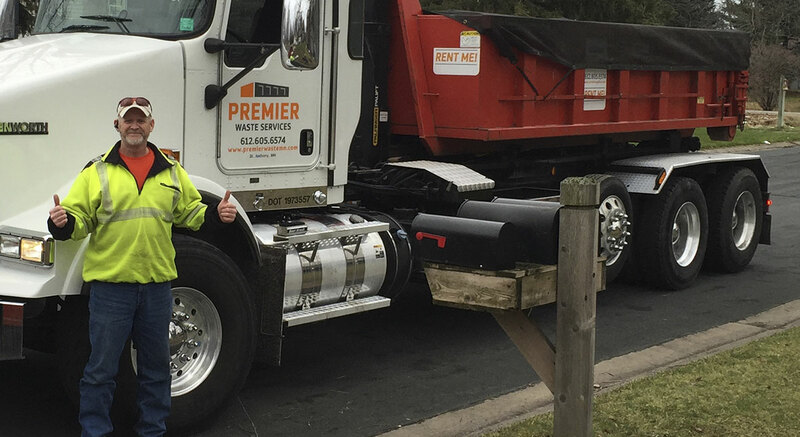 *Street Permits are required to place the dumpster in the street in some communities (such as Minneapolis and St. Paul) and are an additional fee. Please contact us to learn more about street permits. **Trip charge – if PWS attempts to deliver or remove a dumpster and we are unable to perform that task, then a $150.00 trip charge will be assessed. 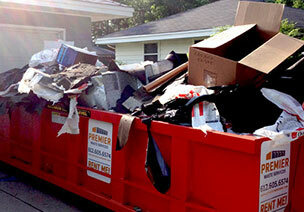 If a dumpster is contaminated, overloaded, or to heavy and cannot be safely hauled, then a trip charge will be assessed.